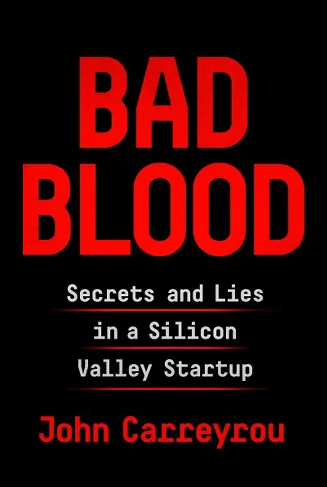 Corporate intrigue doesn’t get any better than Bad Blood, especially when you consider that this is a work of non-fiction. John, Carreyrou, of The Wall Street Journal, documents the full trajectory of the meteoric rise and subsequent disastrous fall of the biotechnology company Theranos, and its young upstart CEO Elizabeth Holmes. In six words: I could not put it down. I knew the gist of what happened through news articles, but the full story, told through interviews of previous employees with first-hand knowledge of the secretive goings-on within the company, pulled back the veil on what at best could be described as an exercise in blind ambition. This book reads like a fast-paced thriller and makes your heart race even more when you remind yourself that it’s a true story. Bad Blood is an out-of-control train ride from start to finish. I recommend this book to anyone who is interested in the dark side of a charismatic business leader, the inner-workings of a so-called Silicon Valley unicorn (and the culture that comes alone with it), or is simply looking for a wild time.